Col. William I. Webster #7460 & Col. William D. Webster #15924. 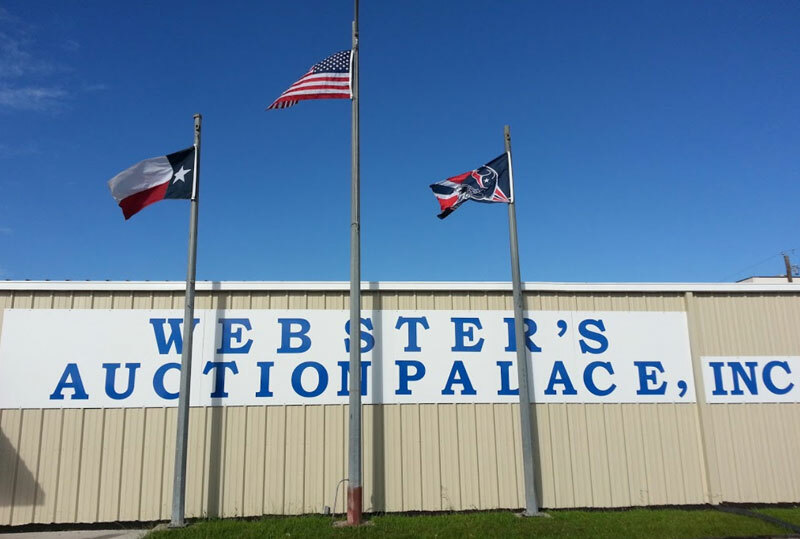 Webster’s Auction Palace was founded in August 1979 and has been in full time, continuously operating Auction Company. Webster’s Auction has 15,000 square feet of inside sales pavilion and warehouses.